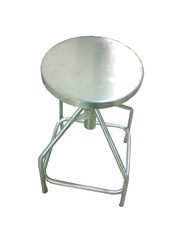 We are a leading Manufacturer of cross over bench, stainless steel tables, stainless steel jug, mini pulverizer, stainless steel pallets and stainless steel stool revolving from Delhi, India. The bench is covered from three sides with three shelves and top covering for shoe storage. 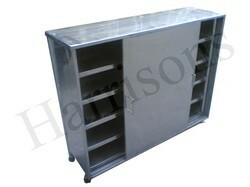 Top of 18 SWG and shelves sides of 20 SWG, SS 304 quality, half side cover from both sides for shoe rack. Complete as per your requirement. 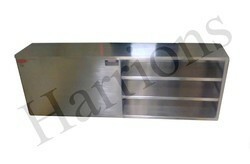 We are known in the industry for our expertise in manufacturing of Stainless Steel Tables. 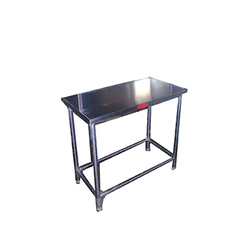 Utmost quality steel procured from giant suppliers is used in the fabrication process of these tables. 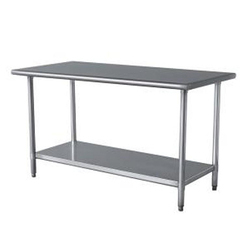 The stainless steel tables made available by us are widely appreciated in the market for their quality attributes such as fine finish, extended service life and corrosion resistance. 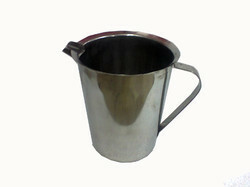 Stainless Steel Jug offeredfind extensive use in research and lab based working environment where these provide for dedicated support as part of specific processes. Made available in quality stainless steel metal finish, these find use in measurement of liquids/media and can be offered in standard construction finishes. We offer it in capacity of 2 Liter in stainless steel 304 quality, suitable marking support and others. Backed by highly equipped units supported with latest technology and a well-trained team, we are able to timely deliver an optimum quality range of Stainless Steel Pallets. Moreover, our proficiency in this field enables us to come up with this unmatched quality range of Pallets, which is safely delivered at clients’ end. 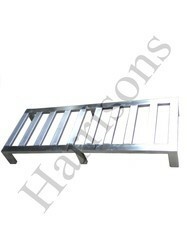 These pallets are especially designed to meet all the requirements and specifications of our clients. Customized pallets are also offered, as per the specifications of clients. Our organization is instrumental in bringing forth for clients Revolving HPM Stool of optimum quality standards. The range of fine finish stools manufactured and supplied by us is extensively demanded in the market for its durability and reliability. Moreover, the offered range of stools is reasonably priced for our valued clients, and is made available to them within the promised time frame. Stainless Steel Table is made of S.S. Sheet in 18 swg top fixed on S.S pipe frame work, S.S. tubular legs in 1.5” diameter with height adjusters and cross bracing in 1” dia. SS tubular pipes. Available: As per your requirement. 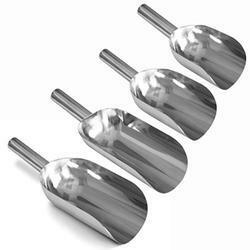 Stainless Steel Scoops offered features precision design and construction finish so as to provide optimum working support in given applications. Further, the proper grounded finish of scoops at joints also aids in minimizing risk of residual powder sticking and cross contamination. Some of its features include stainless steel finished polished handle support, available in size and capacity options of small in 300 gm capacity, medium in 700 gm capacity, bigger in 1200 gm capacity and extra bigger in 2 kg capacity. Multipurpose Storage Rack are suitable for meeting the demands of storing material, box, vial-box, chemical reagent containers, bag among others so as to perfectly match with the working demands. 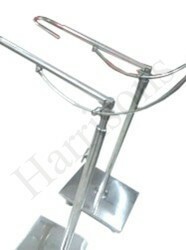 1) Sells well in foreign with high quality and reasonable price,durable in use. 2) Polished and welded well. 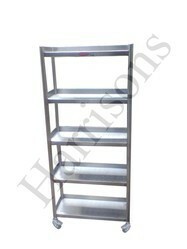 3) Suitable for any hotel, restaurant, cafe or other commercial kitchen or workplace. 4) Safe & easy to move. 5) Durable and easy to clean. 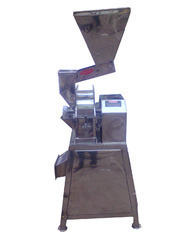 We are the leading manufacturer of Multipurpose Equipment for a wide range of. 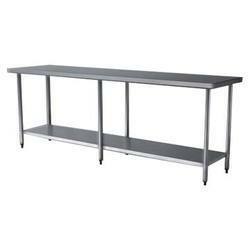 all type of St. Steel fabrications along with s. s furniture / fixture such as St. Steel Table, Storage Rack, Cross Over Bench, Shoe Racks, St. Steel Almirah, St. Steel Container, St. Steel Lockers & Air Curtain (available in various sizes) as per latest GMP specifications, used in industries including the food industry, pharmaceutical industry and hygiene industry. Please send us your enquiries for the machines /St. Steel furniture/fixture etc. required by you to enable us to quote our lowest rates. Shoe Rack Almirah is made of Stainless Steel-304, 20 SWG sheet and pipe of diameter 1.25” supported by SS angles and brackets with 5 shelves and top covering in it. All the shelves have 2” collar on three sides and the front side is moulded down. The shoe rack has five shelves. 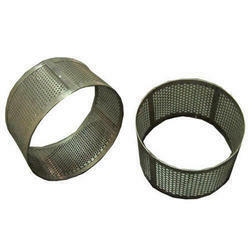 Multi Mill Sieves offer these sieves in size options of 0.5 mm, 3 mm, 6 mm, 8 mm, 10 mm. As certified lab models, these also come with proper reinforcing frames with perforations designed to reduce chances of powder accumulation. Some of its features include argon welded joints for longer screen life, micro polished passivated screen for smooth non sticky surface finish and others. Owing to our consistency in delivering quality products, we have managed to become one of the leading manufacturers and suppliers of SS Two Tier Trolley. The optimum quality trolleys made available by us in this range are highly acclaimed in the market for their fine finish and elegant looks. 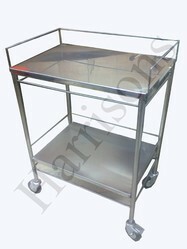 We have designed these trolleys with the aid of our experts, in accordance with the requirements of industry. Looking for Multipurpose Equipments ?